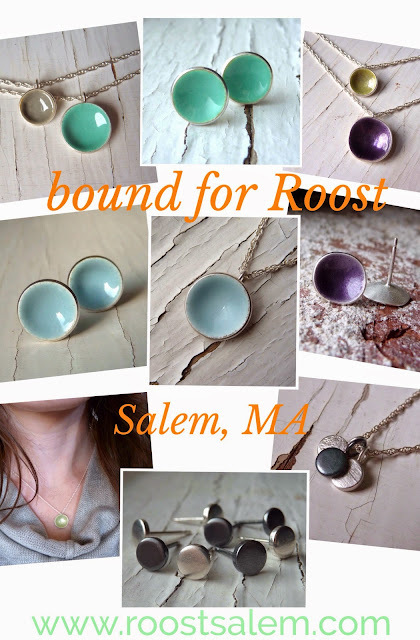 I am pleased to announce that my shiny objects with dashes of color will be in Salem, MA. Stop in at Roost on 40 Front street. The shop is full of super cute items, you won't leave empty handed. In "roost and company", "salem", "stockist"